← Sometimes a lie can lead to love . . . He needs a lawyer. She’s a good one. But it’s the 1800s. She’s bound to be trouble. 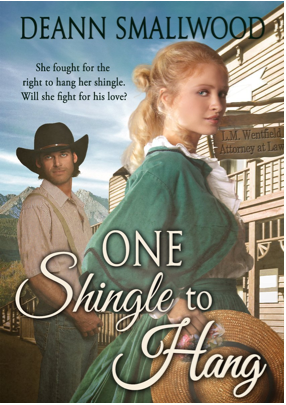 FRIDAY’S FANTASTIC FIND is the western historical romance ONE SHINGLE TO HANG by DeANN SMALLWOOD.